7 most beautiful beaches in Thailand! Home » Top Holiday Destinations » Asia Travel Blog » Thailand Travel Blog » 7 most beautiful beaches in Thailand! 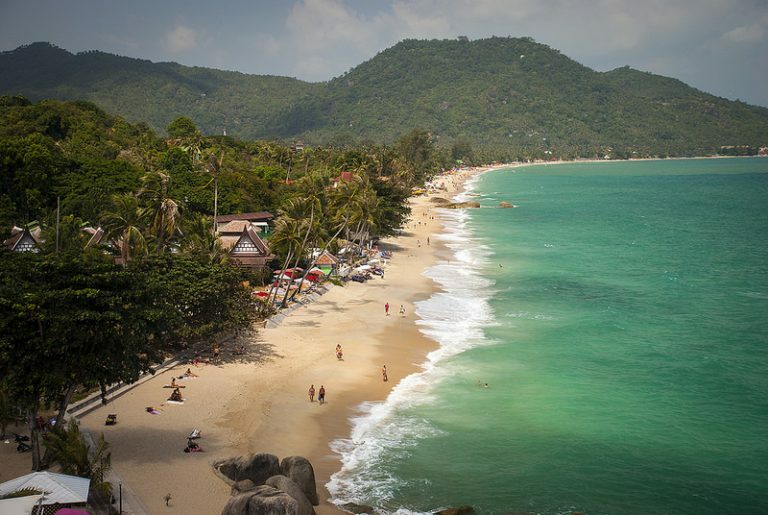 Hailing all beach bums, to the land of stunning coastlines and clear blue seas – Thailand! We all know that Thailand is the home to several beaches with white sand and turquoise blue water. But with so many options, it becomes so difficult to choose from! Here are the 7 most beautiful beaches in Thailand, which are popular among tourists worldwide. Each one has it’s own unique character to it, so read on to know which one suits your needs! Book your vacation to Thailand right away! Just click here. 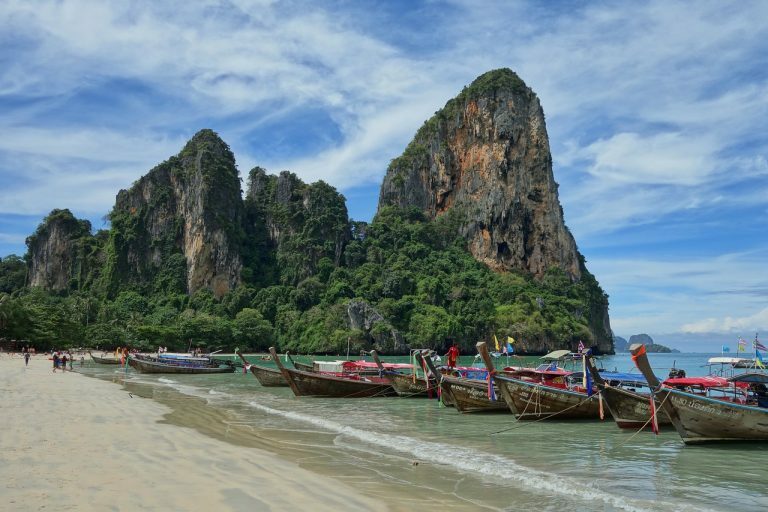 Famous for its towering limestone cliffs and lush jungles, the Railay Beach in Krabi is perfect for that quick escapade. Though being small, Railay has an array of activities to offer for the visitors, the most popular ones include Rock Climbing and Kayaking. One can also snorkel and dive in the crystal-clear waters. An exciting activity that can be done for free is watching the beautiful sunsets and sunrises by the beach! Arguably one of the most popular destinations in Thailand, Patong is the unofficial party capital of Phuket. This colourful beach in Thailand is filled with bars, clubs, restaurants and souvenir stalls. You can also find many adventure activities like parasailing, jet skiing and snorkelling. This beach is definitely for those who want to do more than just laze away under the sun! The Sairee Beach is one of the smallest beaches in the country, but yet is among the most popular and active ones. Apart from having breathtaking landscapes and beautiful blue waters, it is also the most popular spot in the country for water sports enthusiasts. The beach has amazing scuba diving and snorkelling facilities, which is said to be among the best in the country. And apart from the landscapes and adventure sports, The beach area boasts of an excellent nightlife with a variety of bars and pubs to choose from! 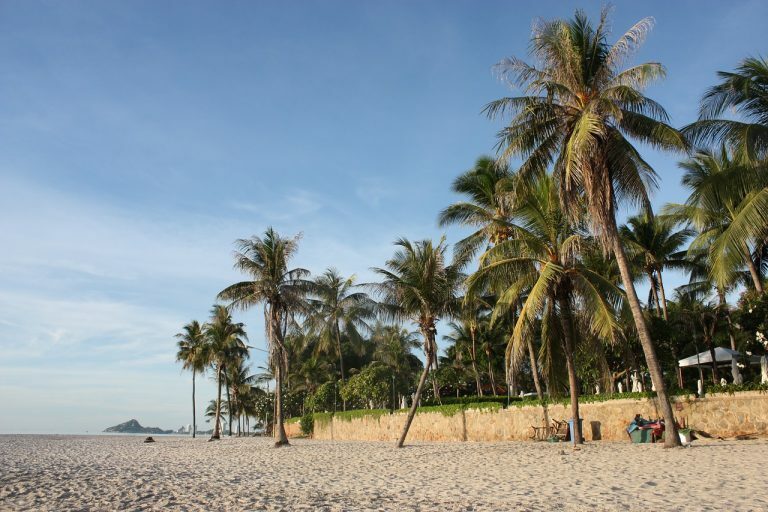 The Hua Hin Beach is surely the beach of the royals. It was originally built as a summer getaway destination for King Rama the VII, it is now a popular destination amongst the rich and famous Thai families. 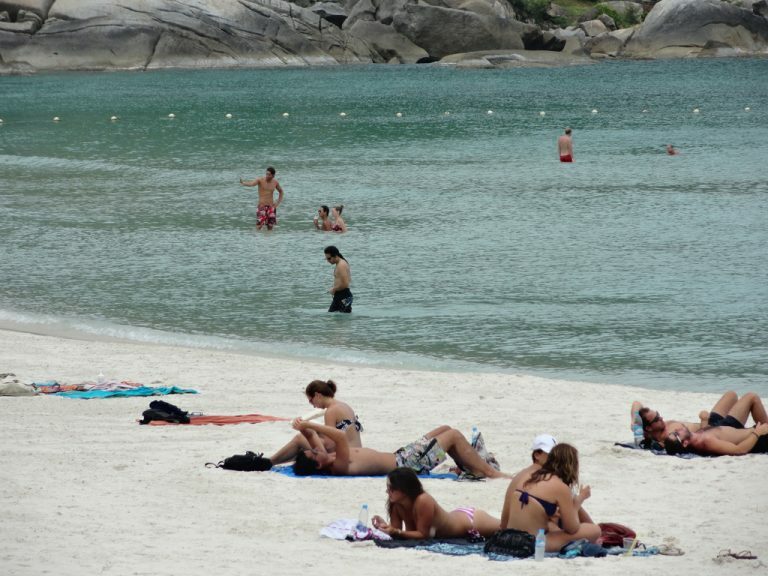 But today, this beach is also popular with tourists and backpackers worldwide. Hua Hin is also the site of the Klai Kangwon Palace, which is still used by Thai royalty. The beach area is also a golfer’s paradise. It is also home to the highest number of golf courses in Thailand. 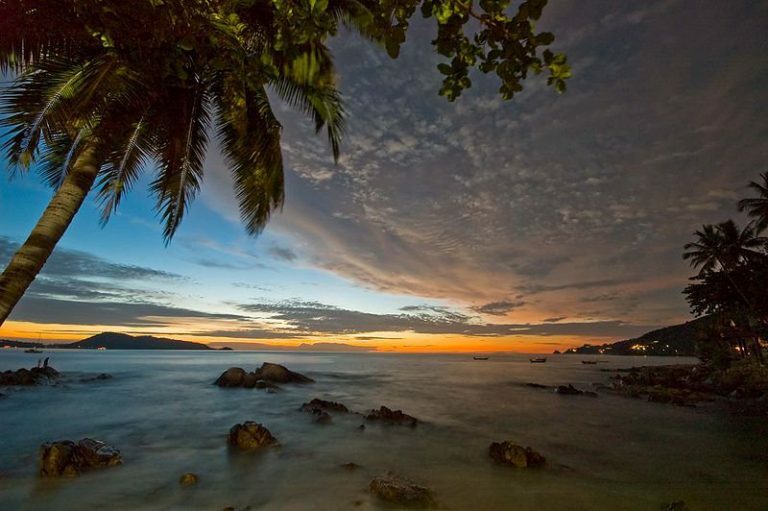 Located on the island of Ko Pha Ngan, this beach is famous for its annual ‘Full Moon Party’. During the event, the beach is crowded with enthusiastic youngsters partying the day away. Although the Full Moon Party is a one-time event, parties are held every night on the streets of Haad Rin, making it the party capital of Thailand! And due to the amazing nightlife, Haad Rin has become a very popular stop for young travellers and backpackers. In addition to the parties, beautiful sunsets and sunrises can be viewed from the beach because of its convenient location over the peninsula! Remember that gorgeous beach that came in the backdrop of Leonardo DiCaprio’s movie ‘The Beach’? Maya Bay on Ko Phi Phi Leh was made famous for being the location for that movie. Tourists flock in huge numbers to this bay, which is surrounded by rugged cliffs on 3 sides. Apart from its majestic coastline scenery, Maya Bay is also known for excellent diving and snorkelling activities. 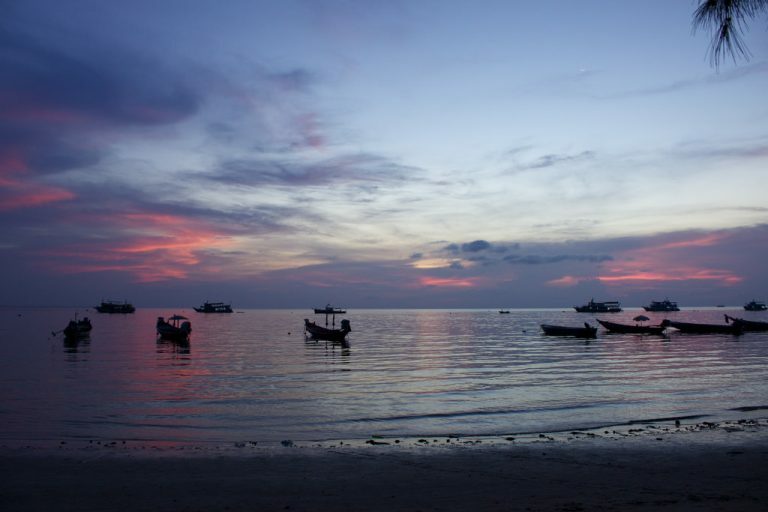 If you’re looking for a quiet and laid-back beach vacation within a budget, then the Lamai Beach in Koh Samui is the place to go. It is a great choice for those couples who want to escape from the fuss back home and enjoy the company of each other in a peaceful place. Apart from being a beautiful beach, Lamai does not attract as many people as Krabi or Phuket does, so it is perhaps one of the best places for a romantic getaway. The beach also offers an exciting range of watersports like scuba diving and snorkelling for those couples who’d like to have a little bit of adventure on their romantic getaway! 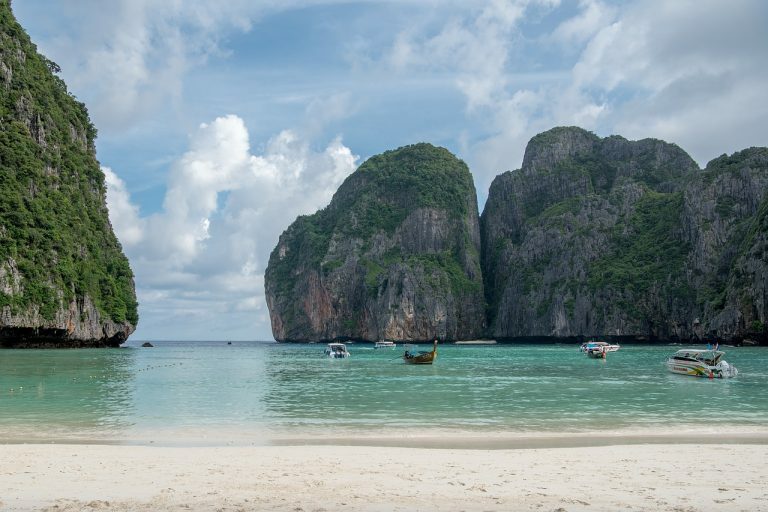 If you’re already excited by this list, book your holiday to Thailand without further ado! You just have to click here. Tell us what you think of these beaches in the comments section below!